Our warehouse holds in excess of 11,000 part numbers and is approx. 25,000 sq. ft. in size. 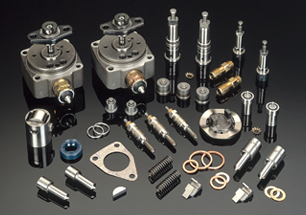 Whether you are repairing a V.O.R pump, rebuilding a set of injectors for your drive-in service or restocking your inventory, we have the ability to ship your requirement on the same day as ordered, just give us a call before 5pm EST. It is this level of customer service that we are committed and dedicated to, thus setting industry standards. Our aftermarket products are quality tested and backed by our Kendiesel warranty.